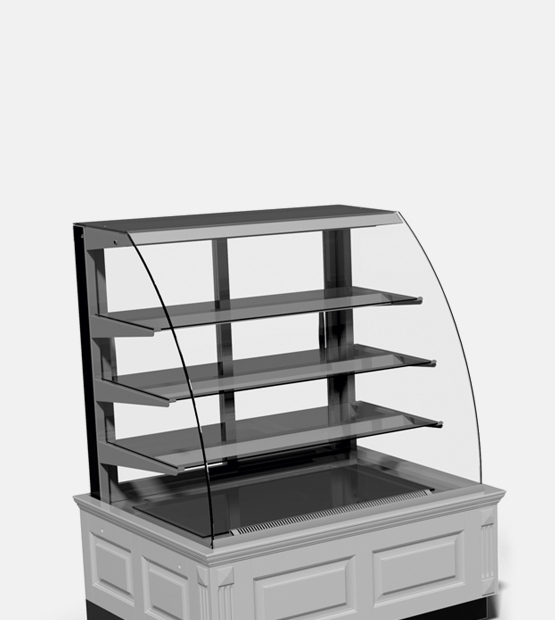 Display freezers with curved glass lids for displaying products. 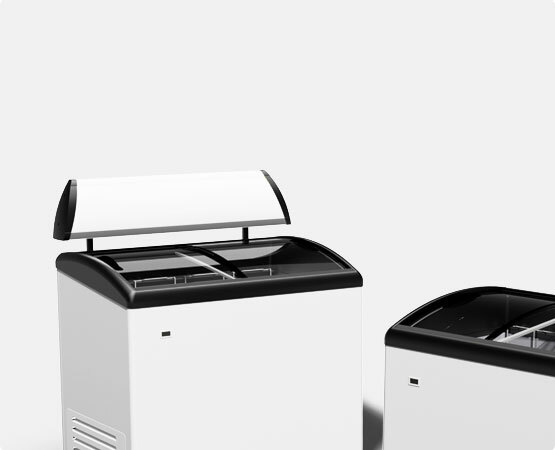 The lids can be curved or flat. 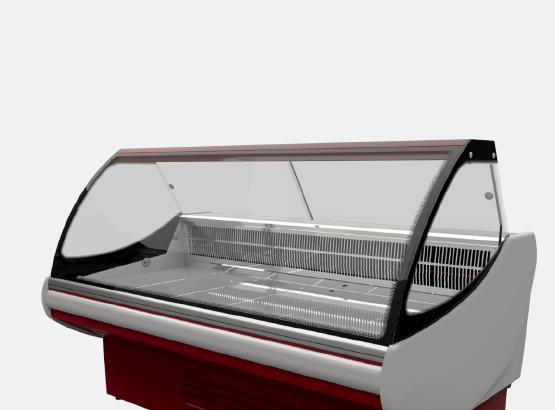 Display freezers are designed for storing and displaying of soft ice cream. Have good visibility and underline the attractiveness of the product. 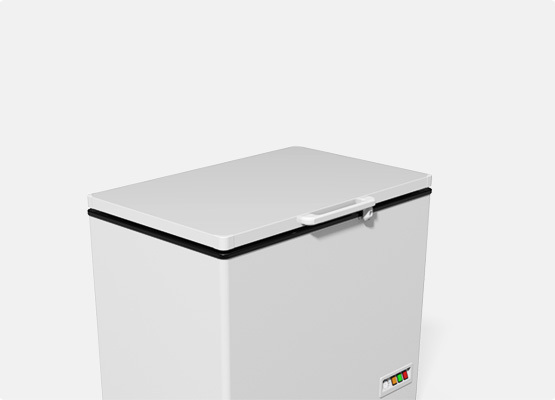 Chest freezers for freezing and storing inventory. The lid can be temporarily used as a work surface. Such bonnet type freezers can contain a fairly large amount of goods and allow to demonstrate to buyers a wide range of products. 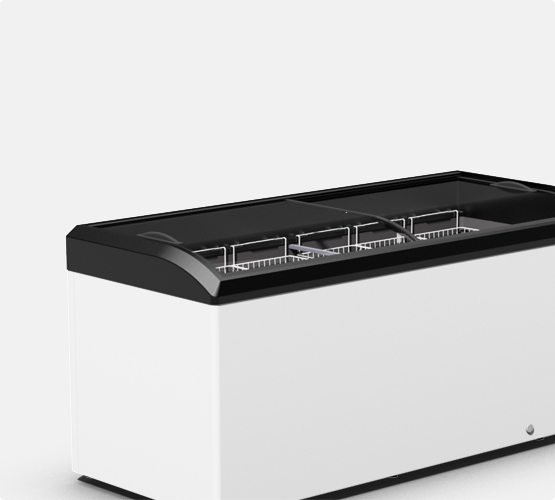 Medium temperature refrigerated counter for storing and displaying of food products. It has additional compartment for storing inventory. 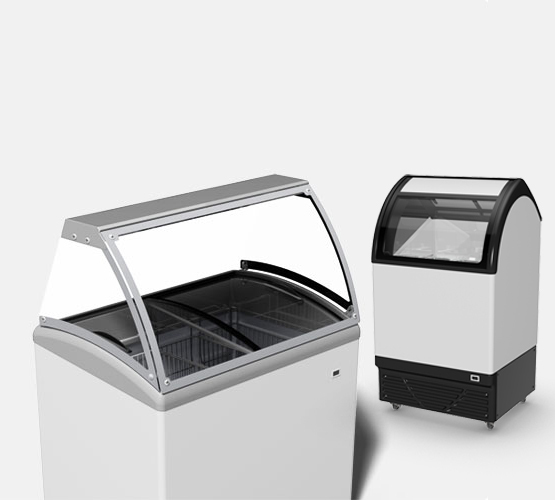 Pastry counters with modern design that creates excellent visibility and easy production outlay. 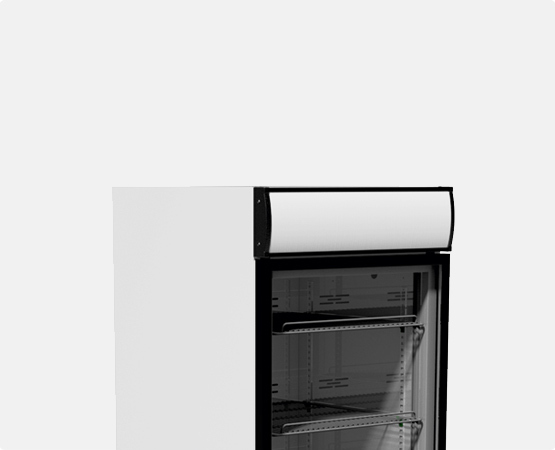 A cabinet - whether it's a freezing or cooling one - is an important and necessary element of trade outlet for diversification of food and drinks range.